Oscar for the Best Original Score shared with Russian musicians? Balalike it! At the 87th Academy Awards Ceremony the Oscar for the Best Original Score went to Alexandre Desplat, who worked on the film The Grand Budapest Hotel and created a few songs with the help of Russian musicians. The producers of the film sent a message of congratulations to the staff of the Lyudmila Zykina State Academic Russian Folk Ensemble last week, thanking them for their role in creating the soundtrack, which was recognized by the American Academy as the best of 2014. Alexandre Desplat experimented with Slavic musical tradition . For example, a balalaika can be heard periodically in the film. The French composer offered the ensemble to record the soundtrack. It took the musicians four 10-hour days to finish the work. The time was spent composing and rehearsing the new pieces. However, only a warm-up song was used in the actual film, not the ones originally planned. During a break the musicians were performing the song "Moonshine". 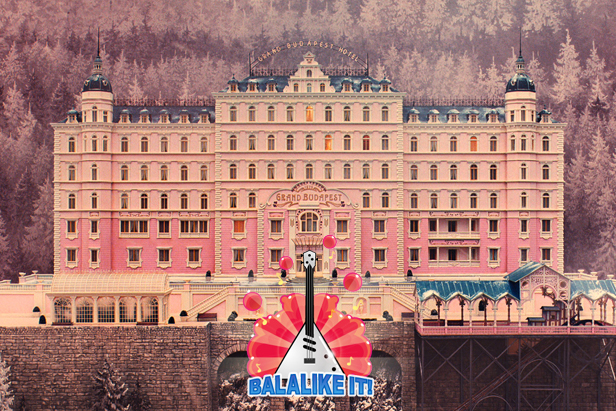 Wes Anderson stormed into the studio and asked what it was. As a result, the song appears in the credits of the film. Fast-forward to the ceremony and you can hear the song in the background as Alexandre Desplat receives his Oscar. The Osipov State Russian Folk Orchestra also took part in creating the score. They recorded two songs: "The Linden Tree" and "Kamarinskaya".